Have I mentioned how much I don’t have a choice but to like football in this family since my last football inspired post? I’m also the honorary 12th man in the family fantasy football league this season because they didn’t have anyone else to play. 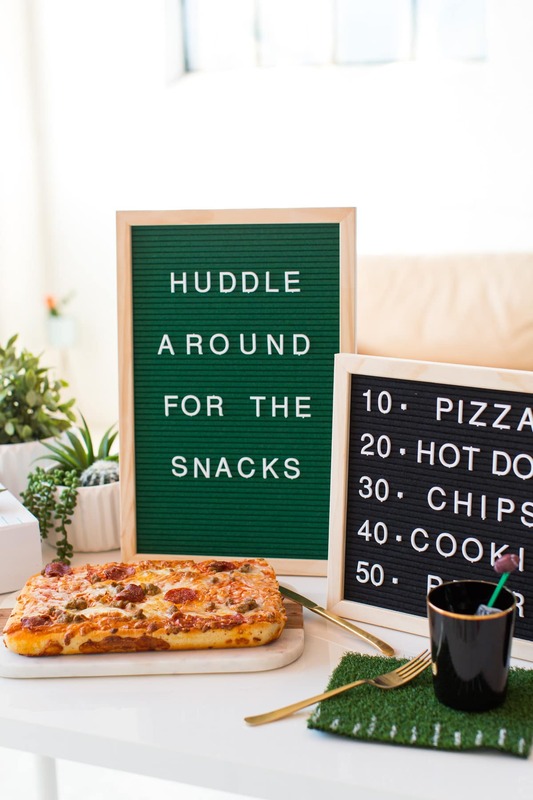 My team name is “Huddles & Cuddles”, so at least I’m winning with that, haha! Technically I’m in 10th place and I’m feeling realllly good about that. Since it’s inevitably a part of my life nowadays, I’m all about making it into some good entertaining content. 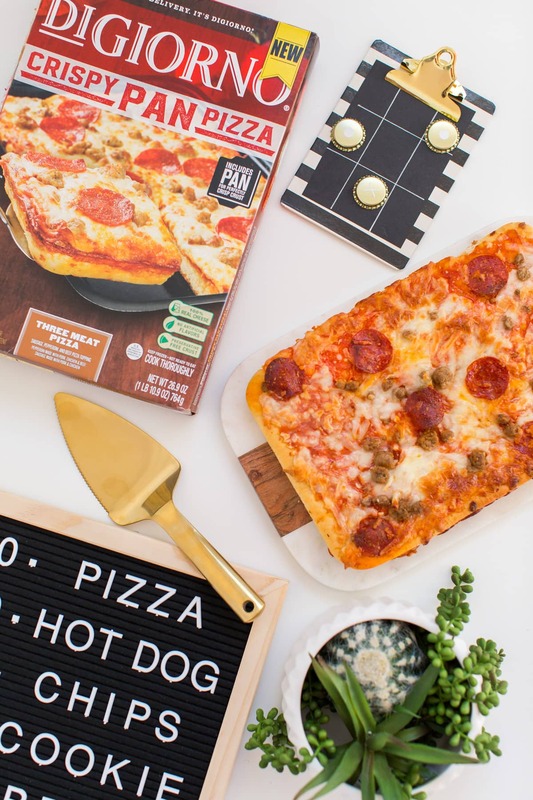 This time I have 3 simple DIY ideas for your next football watch party to rise to the occasion alongside the new DIGIORNO Crispy Pan Pizza. 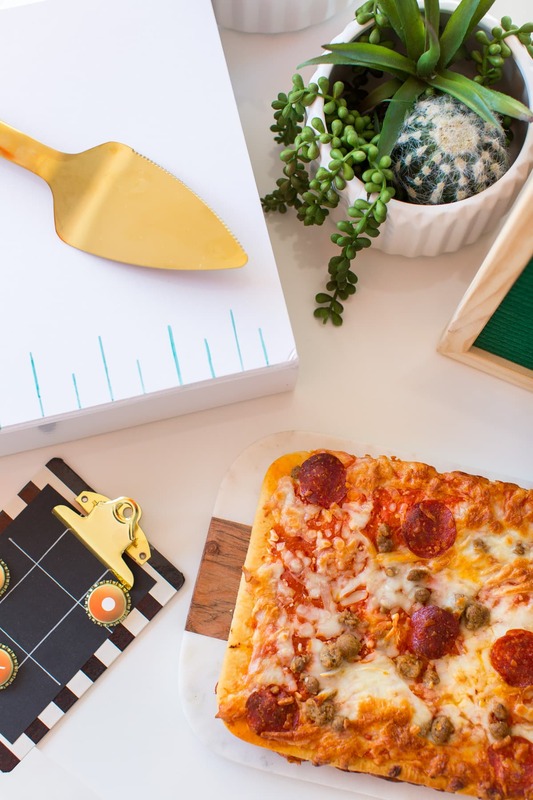 It doesn’t get more exciting than a pizza party for your big game viewing pleasure, right?! 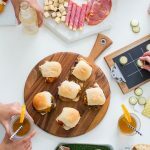 Let’s be honest, the drink stirrers are always just for looks (thick crust pizza topped with edge-to-edge cheese really takes the cake at this party) but they add a fun touch. 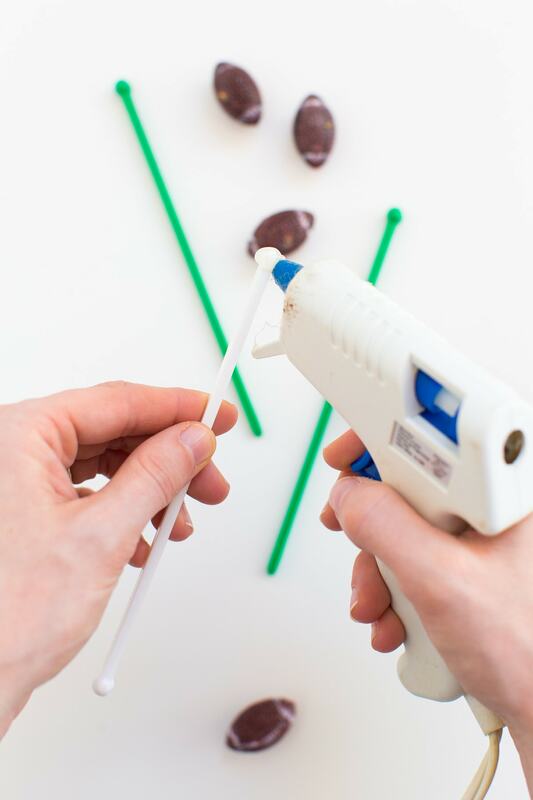 To make these, all you have to do is hot glue mini footballs to the end of drink stirrers, let cool, and then display! 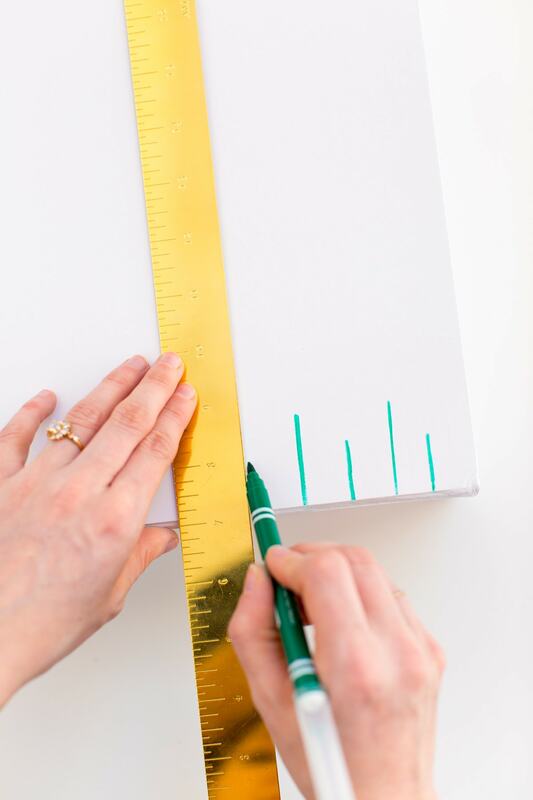 Literally these are as simple to make as using a ruler and a marker to draw the yard lines. If you’re really proud of your handwriting, you can add numbers too. We’re all better off not showcasing my handwriting, haha! 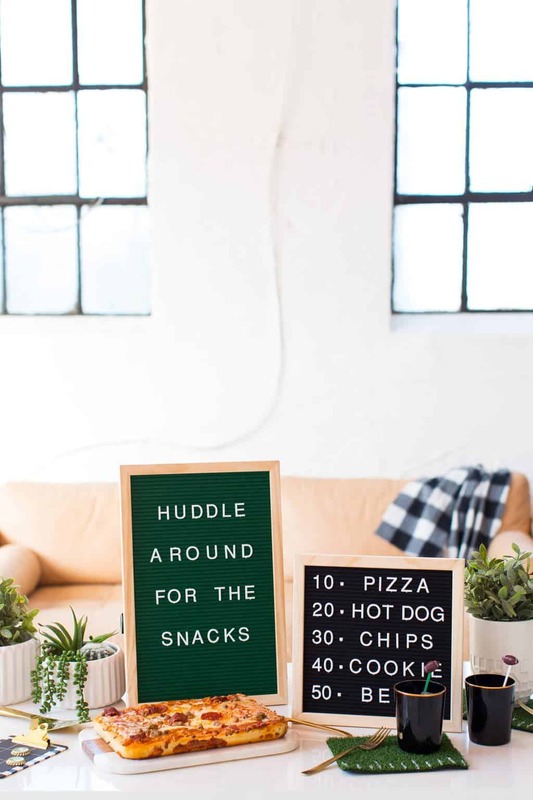 And last, but not least, the ever popular felt letterboard trend! 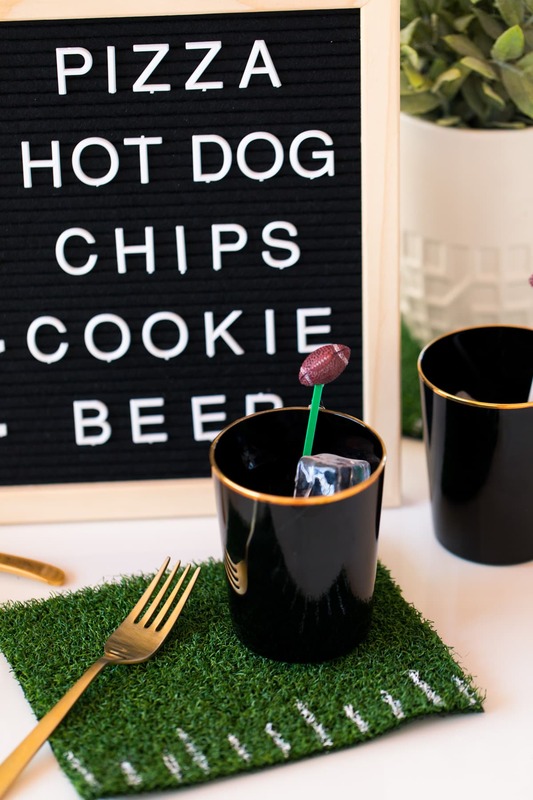 Really this isn’t even a DIY unless you consider sticking plastic letter into felt crafting. 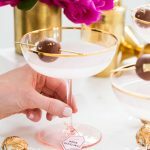 No judgement here! I happened to snag these on mega sale at our local craft store, but you can find them online here too. 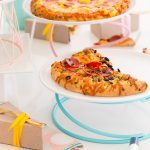 They happen to look mighty fine with our DIY turf coasters and placemats from last year that have been SUPER popular! 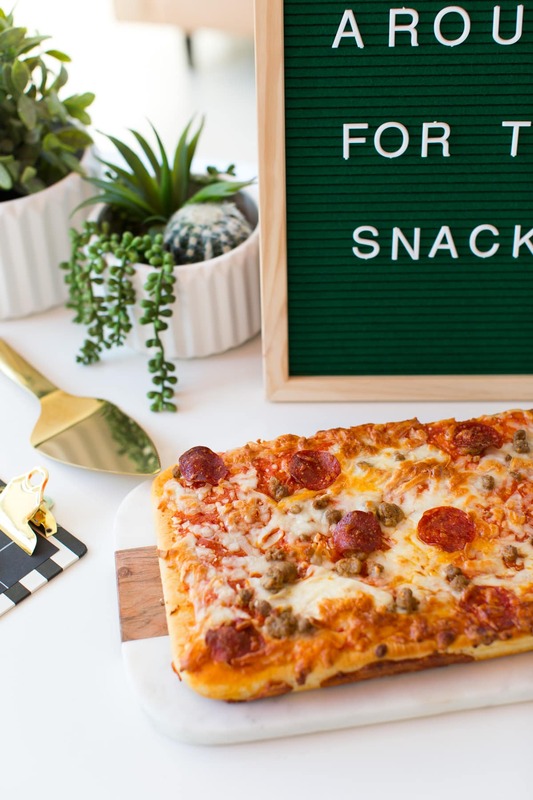 Obviously the hero food group here is the DIGIORNO Pizza as a main meal, but it’s not a watch party without a plethora of fingers foods so you can easily add whatever you’d like to your menu board. 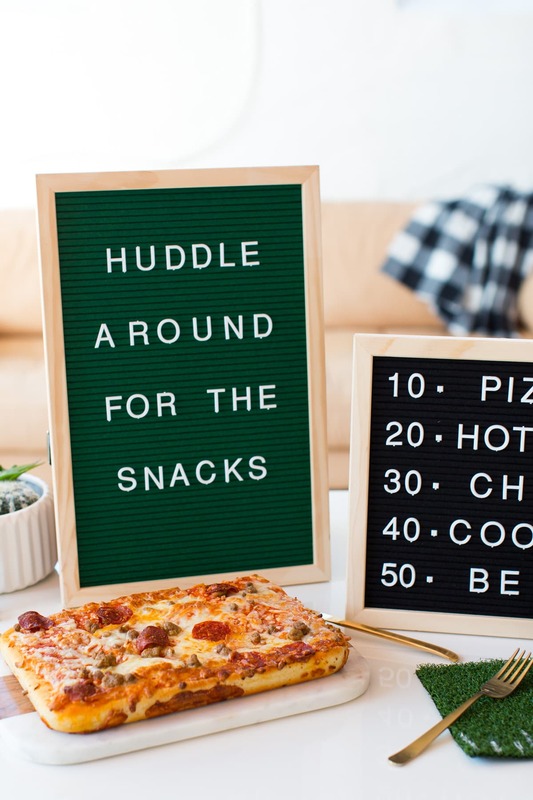 Who knew felt letterboards and pizza could be so cute, right?! We’ll be celebrating this year’s big game with our newest little family fan, and I am so excited! 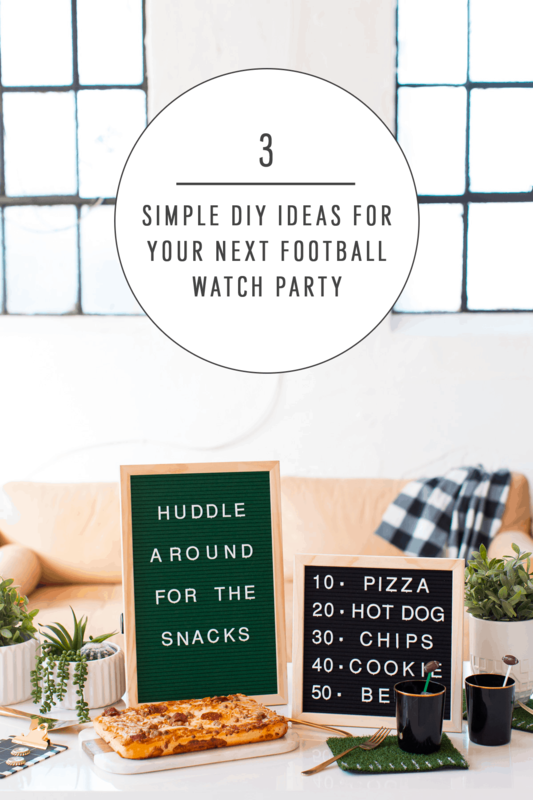 Be sure to tag us so we can follow along with your watch party styling ideas, too.